Product 1 - MULTANI MITTI - Prevents ACNE & PIMPLES. Control sebum and excess oil. Plumps blood circulation, giving yor skin a natural glow. Has ANTISEPTIC properties. Product 2- ROSE PETAL POWDER - Anti-aging. Loaded with anti oxidant properties, it fades away signs of aging. 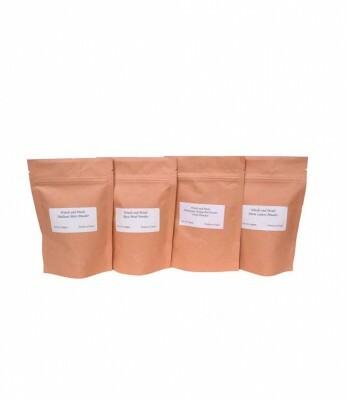 Product 3 - ORANGE PEEL POWDER - Skin whitening. To be used in face packs for anti aging, acne pimple and scar marks. Mix all ingredients. Make a smooth paste. Apply it on your face and neck. Wash off after 30 mins. It lightens your skin tone immediately while removing pimple acne and scars.